Not an SSCA Member? Here is what you are missing! Sample some of the highlights that SSCA membership provides. It is easy and inexpensive to become a member. Join the ranks of thousands of members worldwide who share your interest and passion for the cruising lifestyle. Then you will understand why you can't afford NOT to be a member of SSCA! What does it cost to join the largest and oldest cruising organization in the world? $65/year provides all the benefits seen on this page, including the Commodores' Bulletin which is the monthly newsletter, downloadable from the website. If you wish to have the Bulletin mailed to you, the cost is an additional $20 for US addresses and an additional $30 for international addresses. Here's just a sample of exclusive offers and discounts you'll enjoy as an SSCA member. The list goes on and on and keeps growing, but you need to be a member to take advantage of these great offers. Why not join now? 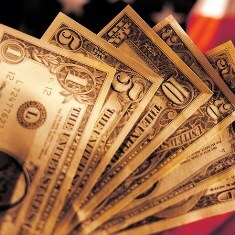 Members will find a complete list of money-saving offers here. Let thousands of SSCA members help you make informed buying decisions! SSCA is in the process of updating its Equipment Survey which allows members to provide information about their boats in which they spend meaningful sums of money to espouse a full-time cruising lifestyle by adding, maintaining or replacing marine equipment. In addition, other members are allowed to view that valuable information; it covers virtually everything you would want to research from stem to stern--the boat itself, anchors, electronics and communications. A new, improved version will be released soon. 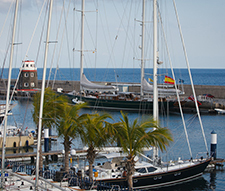 Seven Seas U was created by an SSCA member with cruisers’ needs in mind. SSCA members receive tuition discounts. 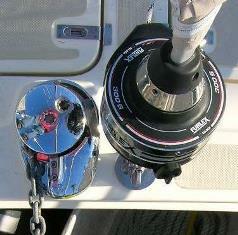 Seven Seas U is a convenient, interactive, and cost-efficient way to add to your boating and cruising knowledge. All you need is a computer and an Internet connection. SSCA members receive a discount on every webinar purchased. Can’t make a live webinar? Not a problem. Our members are spread out all over the globe, and therefore the times of some live webinars may not be convenient for everyone. All registered participants for a course will receive a link to the recording of the live webinar, and instructors make themselves available via email to take questions. So you can register for a course and then view the recording at your convenience. Or you can use the recording to review a webinar that you attended live. 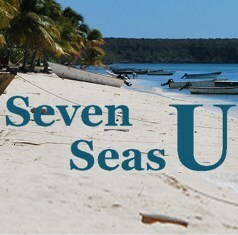 More information on Seven Seas U is available on the Seven Seas U page. Of all the traditions of SSCA, the oldest and most cherished is the Commodore's Bulletin. Each month members share their firsthand cruising experiences and knowledge while providing advice and inspiration through their letters and contributions. From hand-copied, shared letters in the 1950s to a distinctive 48-page information-packed monthly, the Bulletin has always been the SSCA's most well-known benefit. 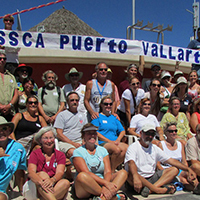 "The camaraderie of SSCA members around the world is remarkable. We have used the Bulletin extensively while planning and traveling to 114 countries and always look forward to reading it each month." 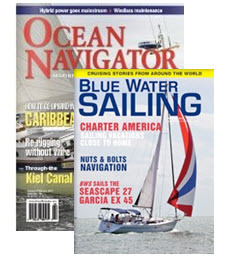 Available as a traditional paper, mailed-to-your-door edition or digitally online in pdf format, this monthly publication provides pertinent information about the cruising life ... written by cruisers for cruisers. It's also available in a Microsoft Word (.doc) version without photos for the bandwidth impaired. Periodically, an indexed, searchable CD is available for easy access to articles by area, topic or contributor. Use this key benefit for passage planning, keeping track of actively cruising friends or browsing page by page, dreaming of what's out there and where you'll go. Share the tradition by browsing through a recent Bulletin sample. 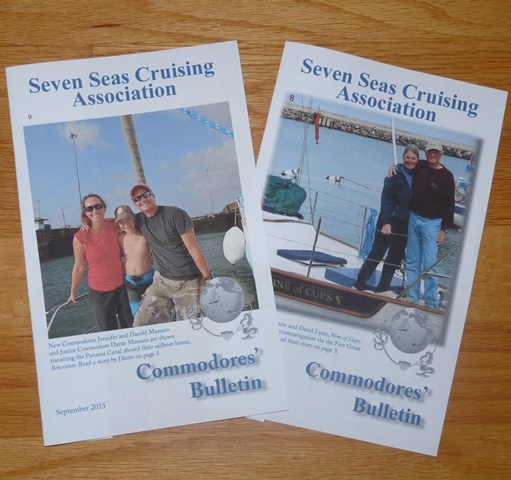 It’s been said that the Commodores’ Bulletin has probably launched more voyages and kept more cruising dreams alive than any other publication. Just one more reason to join SSCA today! Members may access all online Bulletins here. 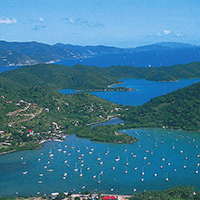 Imagine sailing into an unfamiliar port... in the South Pacific, on the U.S. Coast, in Turkey or Thailand. Think of the advantages of having a host there to provide information in advance and welcome you when you arrive. That's an SSCA Cruising Station Host. With over 150 Cruising Stations currently in place, this ever-expanding program offers unparalleled benefits to our active cruising members worldwide. Members can locate individual Cruising Stations with contact information on our World Locator Map, which uses a green icon to display Port Guides with Cruising Stations. Take a look at the list below it to see some of the services you might expect from a Cruising Station. If you're an active cruiser or planning to be, this is a benefit you don't want to miss! Members will find Cruising Station Hosts by searching for them using the "Interests" field in the membership directory found under the Membership menu after logging in. Members can filter further by state or country using those fields. Whether you're on the move or making plans, Port Guides for worldwide ports provide information you need. Sharing information is one of SSCA's key traditions. It's great to be able to refer to Bulletin letters about a port while you're planning a passage. We buy and share costly cruising guides, and yet, as we all know, much of the information in print becomes obsolete as soon as they are printed. People move, regulations change. Plus you don't always get the nitty-gritty information you want. Where's the nearest laundry? Can you buy varnish? Where do you buy diesel or get your propane tanks filled? My dog needs shots; is there a vet around? Sitting in a port or know it well? Members can and should add their local knowledge and experience to the ever-expanding library of online Port Guides. Not going anywhere right now? Take a look and start dreaming! This invaluable benefit is yours free with membership. Members will find Port Guides in the Document Library categorized by country. What better way to "show your colors" and let everyone know that you're part of the world's largest cruising family. 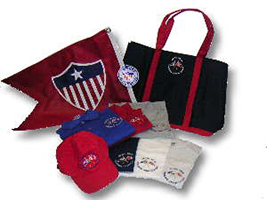 Support your favorite cruising organization by flying our distinctive burgees, wearing SSCA sportswear and accessories or taking advantage of our information-packed SSCA Reference DVD. And don't forget our cruiser's cookbook, Seven Seas Potluck Favorites! Fine quality merchandise, available online exclusively for SSCA members. Members will find SSCA merchandise by clicking here. gam (noun): A social visit or friendly interchange, especially between sailors or seafarers. Camaraderie is a cornerstone of SSCA. 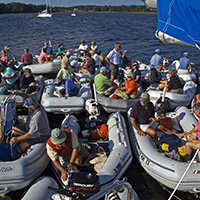 Wherever members gather, they organize get-togethers and exchange cruising information. SSCA sponsors gams throughout the world. Trinidad hosts the first SSCA gam of the year—on New Year's Day each year. 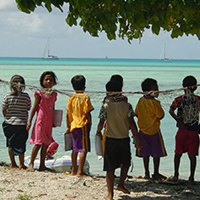 Annual gams are also held in Annapolis, Maryland; Puerto Vallarta, Mexico; Melbourne, Florida; Pohnpei in the Federated States of Micronesia; Islesboro, Maine; St. Petersburg, Florida and Essex, Connecticut. Members are encouraged to hold regional gams, as well. These mini-gams often occur with little planning—just an announcement on the VHF radio or a flyer hung at a beach or marina. More than 50 people recently got together in George Town, Bahamas for an enjoyable spur-of-the-moment gam. Non-members are welcome to attend most Gams as noted in the Gam's description. All are available for free download to members. 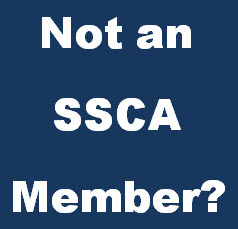 Join SSCA now and see how you might benefit immediately from the knowledge and experience of our members. Most cruisers are just too busy to find and attend meetings to fight for the right to cruise and anchor safely and freely. SSCA provides a VOICE for cruisers, whether it is our Concerned Cruisers Committee pushing for cruisers’ rights to anchor responsibly or your SSCA Board of Directors writing an appeal advocating that governments take a stand against piracy. Your SSCA is the voice for your cruisers’ rights. For more information on our advocacy, visit the Concerned Cruisers' Committee page. 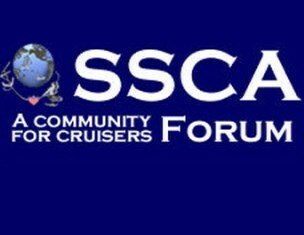 The SSCA Forum is one of the most ACTIVE and helpful cruising forums around. You can find answers to most boating questions and, if by chance the answer isn't there, you can post the question to solicit replies (and have the Forum notify you if/when someone responds). Not only that, it is fully searchable! Find information on a huge variety of cruising topics such as recommendations on the type of boat to buy, engine/boat repairs, equipment, coastal or offshore cruising, navigation, weather tactics, family and crew and even about SSCA and our efforts on behalf of cruisers' rights. Some of the greatest and most experienced cruisers in the WORLD post to our forum! Take advantage of their knowledge and experience. And if you are an experienced cruiser who has answers rather than questions, what better way of upholding an SSCA tradition of helping other cruisers by sharing your knowledge by answering questions posted by others? Members can access the forum here. Can't remember someone's name or boat name? Look it up! Search by cruiser name or boat name to locate friends and fellow members. Used alone or in conjunction with the Member Locator Map within the mobile app, this benefit provides easy access to member contact information and location. Interested in other members who own sister ships to yours? 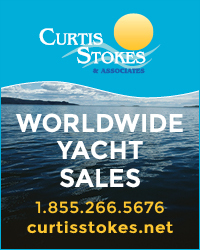 Want to contact members who own a boat you are thinking about buying? 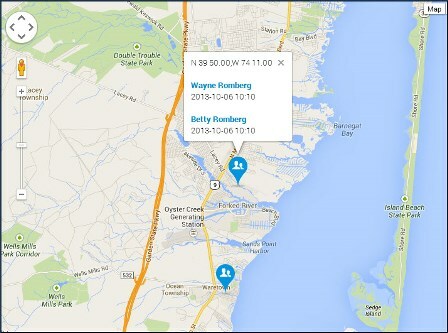 Search by "boat make" for an instant list of fellow members who own boats by specific manufacturers. Members can access the directory under the Membership menu after logging in. 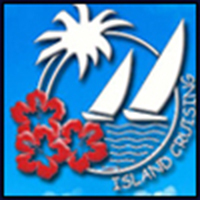 All SSCA members receive a free membership in Island Cruising Association. 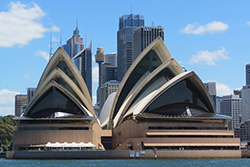 ICA offers an ever growing knowledge-base of cruising resources and information specific to extended coastal (New Zealand and a developing section on Australia) and Offshore, with an emphasis on the South West Pacific. ICA has a wide range of fun events, training, practical demonstrations, on the water preparation and back up to assist cruisers to get out there. The South Pacific, New Zealand and Australia are the collective backyard of ICA and they've cruised extensively here for the past 25 years. All of this accumulated knowledge is available to club members in a variety of forms. In addition to cruising information, ICA offers training and sponsors rallies including ICA's Pacific Circuit Rally and the All Points Rally. A special thanks to SSCA members John and Lyn Martin, founders of Island Cruising Association, for this great benefit! See who's in the anchorage before you get there! Find members you've lost touch with or who can give you insight into what you can expect when you arrive at your destination. Designed to be used on your mobile device, SSCA's Member Locator Map lets you select a mileage radius and find other members near you. Icons appear on the map for members using the app near you. By tapping the icon, you can obtain their contact information and even contact them quickly and individually with another tap. The mobile app also has other features that allows you to reach out to all members near you at one time with a question or comment and offers better website viewing on the go. Member can learn how to download and use the app here. As an SSCA member you can have free unlimited storage for your cherished photos. Many a camera, thumb drive, or hard drive has failed or been lost forever due to the harsh ocean environment so the SSCA photo album directory gives you a safe place to store, preserve, and backup your captured memories. Members can choose to make their photo albums viewable to members only or to the general public allowing family and friends to view them. SSCA also holds a members-only photo contest each year giving members an opportunity to submit their most prized pictures for the contest. Monthly winners are selected from each month's submissions by the membership and an overall yearly winner is selected from among the monthly winners. All the monthly winners are recognized at the Annual General Meeting and Gam held each November where the overall winner is selected, announced and presented with a prize.